Our Wade socks are inspired by one of the best basketball jerseys of all time and a great album by Miami Nights ’84. I have always thought that these colours looks super great together and having tried to pair them with shoes / outfits, I definitely recommend keeping it simple to make your ankles shine! 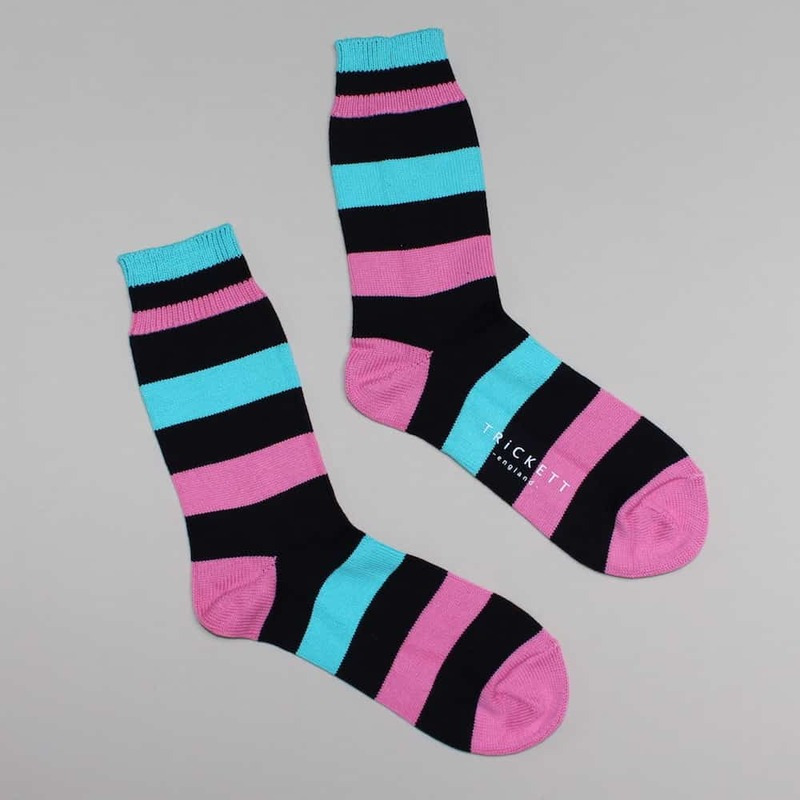 Our socks are made in the UK by Neil and his team and come in neon blue, black and neon pink cotton. A nice plain, flat knit for a more relaxed look whilst sipping cocktails and sporting an oversized suit in ’80s southern Florida.